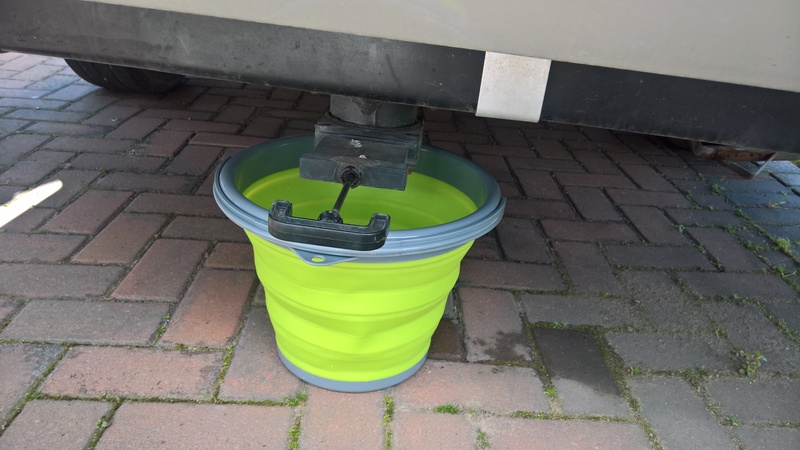 Handy collapsable bucket from Aldi £4.99 (April 2017). Ideal when storage space is tight. It has a 10 litre capacity. Ideal for when a site has no motorhome service point and you have to bucket out the waste each day.